DOT Micro CMS – PHP Script Created by mazonblog. This templates have specific characteristics, namely: Dot is php scripts for building blog and normal website. It come with black and white header . 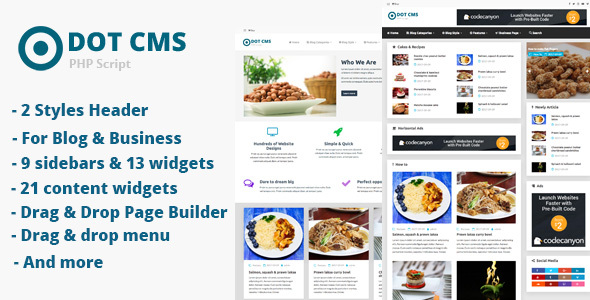 You can use this DOT Micro CMS – PHP Script on Php scripts category for blog, cms, page template, php script, symfony and another uses. Dot is php scripts for building blog and normal website. It come with black and white header color. Tags: tag name, slug, description and feature image. Themes, pagination, xml sitemap, comment(Disqus comment).